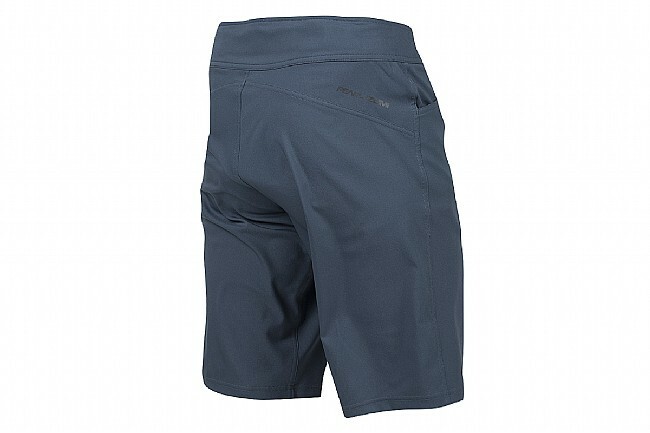 Pearl Izumi's Journey Short is perfect for adventures both on and off the bike. The baggy fit is styled after board shorts for a casual look, but the moisture-wicking Transfer Dry body and detachable liner with a plush 3D Tour Chamois® mean these shorts are ready to take on any ride. A snag-free waist adjustment lets you fine tune the fit, and two front hand-warmer pockets provide an easy-access storage option for smaller goods. The Men's Journey Short is available in multiple colors. 12” inseam (size medium). Great fit and quality as always. Needed to add to my MTB shorts collection and these are great. These shorts are really light and comfy. They are good for fixed gear riding. The liner is light but supports well and stays up. The inner Velcro tightening band is good for adjusting waist but can be scratchy on the skin. I bought two pair. It's a nice alternative from wearing spandex all the time.